WORLDS MOST COMFORTABLE STRESS BALL! Cyber Gel HGX provides unlimited squeezing and therapeutic stress relief. 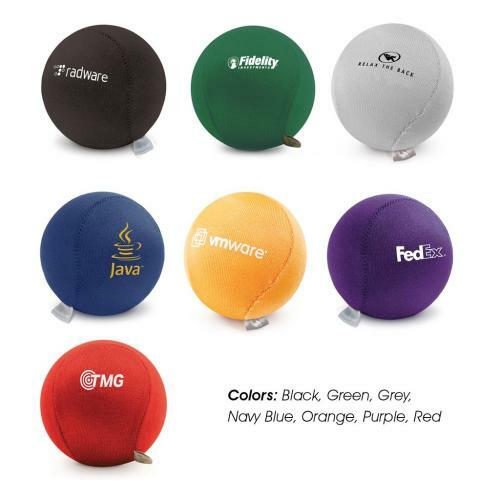 It is a patented stress ball with a comfortable Lycra covering that is larger than other stress balls, and is made with semi-solid gel of recycled materials. Antimicrobial properties built-in to protect the product from odors and stains. Sewn-in tag shows environmentally friendly icon. Vibrant silkscreened graphics promote your brand. Oversize 2-1/4” diameter semi-solid gel made with recycled content.